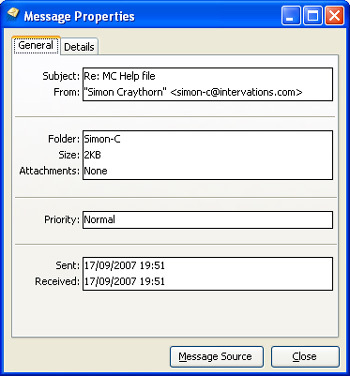 Accessed from Message Properties, and from the Messages List Context Menu. This gives the main information about the message. The Details tab shows the complete header. The Message Source button shows the complete message source as plain text.